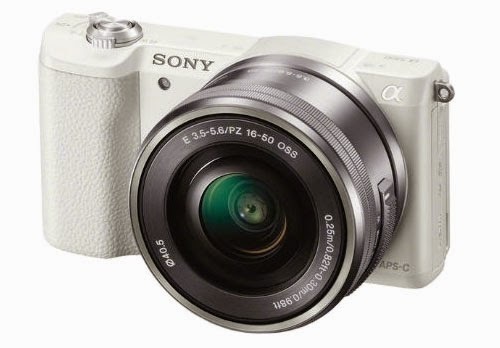 Sony has unveiled its new mirrorless camera, the Alpha a5100. Like its a6000 predecessor, the a5100 incorporates a 24.3MP APS-C Exmor CMOS sensor, a BIONZ X processor, and speedy 179-focal-and-25-contrast-detection-points hybrid autofocus system. It also features a 180 degrees tiltable touchscreen and 1080p/60p/24p video recording at up to 50Mb per second. The a5100's compact body (2.5 x 4.3 x 1.4 inches) makes it the smallest APS-C interchangeable lens camera. The new shooter is expected to be available in September for $550 (body only) or $700 (with 16-50mm power zoom lens). The speedy new camera (model ILCE-5100) features the same Fast Hybrid AF system as the acclaimed α6000 model, which allows it to acquire focus in as little as 0.07 seconds1. 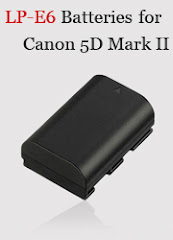 It also shares the α6000's image sensor – a 24.3 MP APS-C Exmor™ CMOS sensor – and powerful BIONZ X processor. This impressive combination of hardware ensures that the camera can capture still images and full HD videos in sharp focus with incredible detail. "Sony continues to innovate in the mirrorless camera space, offering products that are not only smaller and lighter than competitive DSLRs, but that consistently outperform them," said Neal Manowitz, director of the interchangeable lens camera business at Sony. "The new α5100 is a primary example, offering world-class AF speed and performance in a palm-sized body at a great price. It's powerful enough to satisfy the most experienced DSLR shooters, yet not too intimidating for the casual weekend photographer." Additionally, the α5100 camera has an extremely responsive touch screen which works with the AF system to enable Touch Focus, allowing shooters to focus by simply touching the intended subject on any area of the LCD screen – even if it's at the far edges. Additionally, with the power of the BIONZ X processor, the camera is able to read, process and output data from all of the sensor's pixels during video recording, ensuring that it produces the highest quality video possible by eliminating aliasing, moire and false color artifacts. The compact new mirrorless camera features a high resolution 921k dot WhiteMagic™ LCD screen that can tilt a full 180 degrees upright, ideal for self-portraits. On top of the camera body, there's a zoom lever for convenient one-handed camera operation and a handy pop-up flash for tough lighting conditions. The α5100 camera has built-in Wi-Fi, giving consumers one-touch connection with Xperia® or NFC-compatible Android™ smartphones or tablets for instant image transfer and sharing. A single touch also activates Smart Remote Control, giving users a live image preview through their compatible smartphone or tablet, and allowing them to use the smart device to release the camera's shutter. For devices without NFC one-touch capabilities, users can wirelessly transfer images and videos and activate Smart Remote Control through Sony's free PlayMemories Mobile™ application, available for the iOS and Android platforms. The α5100 camera is compatible with Sony's ever-growing assortment of E-mount interchangeable lenses, and uses the same Sony E-mount as the acclaimed α6000, α7, α7R and α7S models, as well as all the previous α 'NEX' cameras. All Sony 'FE' and 'E' lenses are compatible with all E-mount cameras.